NOUS et le COLONIALISME : un divorce inconsommé! Posted byRed Lips High Heels August 15, 2013 Posted inPolitics, War and PeaceTags: Asie du sud-ouest, Colonialisme, Israël, Liban, Moyen-Orient, Syrie8 Comments on NOUS et le COLONIALISME : un divorce inconsommé! Posted byRed Lips High Heels August 7, 2013 Posted inMemory and Identity, Politics, War and PeaceTags: Etel Adnan, Gebran Kahlil, Gibran Khalil Gibran, Lebanese nation, Peace, Peace in Lebanon, Pity the nation, Robert Fisk, War, War in LebanonLeave a comment on Pity our Nation? Un Etat de droit avant tout! 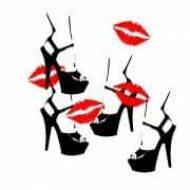 Posted byRed Lips High Heels July 17, 2013 Posted inPolitics, War and PeaceTags: Communautarisme, Etat civil, Etat de droit, Individualisme, Liban, Libertés individuellesLeave a comment on Un Etat de droit avant tout!